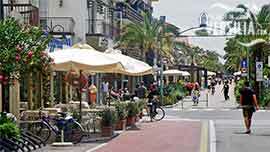 A seaside resort among the most popular Tyrrhenian ones, Forte dei Marmi is located around a jetty set up during the sixteenth century to ship the apuan marbles. Since 1788 this has been sheltered through an outpost which had been built by Leopoldo I and is still visible in the middle of Garibaldi Square. Just about every european noble but also diplomats, businness-men and managers, artists and V.I.P.s had their bautiful villas, protected by the greenery of the pinewoods, built in this zone. Moreover they chose its sandy beaches to spend their holidays and to relax themselves. During the last century Forte dei Marmi has become a famous tourist resort and its value is recognized all over the world: although a part of the original environment has been turned into enchanting gardens, kitchen gardens and luxuriant meadows sorrounding beautiful villas, the man-nature relationship has been kept intact. Nature even dominates man, whose often careless and abusing presence it reshapes. From Forte dei Marmi a tourist can rediscover many historical and cultural architectural evidences, enchanting villages situated on the numerous valleys or on the hills and enjoy the spell of the Apuan Alps. 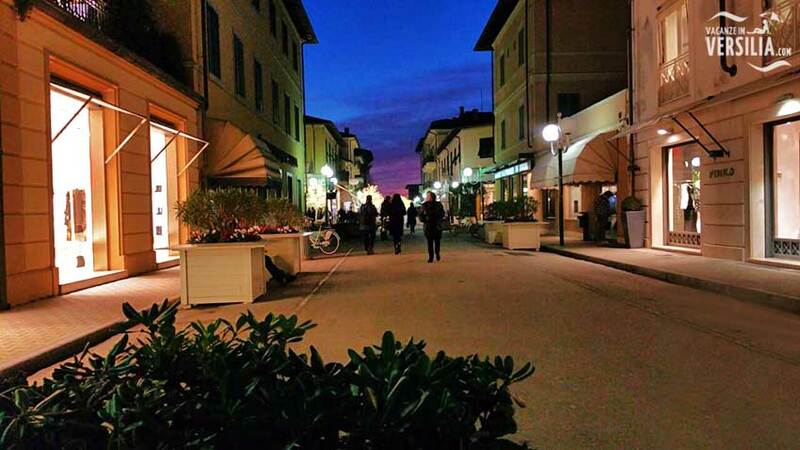 The hotels in Forte dei Marmi are well depicted in this web-site which I hope to be a useful incentive for you to be our guests. Versilia offers the tourist the possibility to play the sport he/she likes best: mounteneering, sailing and may others. The Apuan Alps allow the climbers, either traditional or free-climbing, to make very interesting climbs. Moreover the Apuan Alps allow the hiker to cover itineraries in every season and of every level. Sailors of every raiting level could take advantage of the sea and of the Massaciuccoli lake as well. The sea gives the opportunity to surf too (when the weather allows it). The sport facilities are available to train or compete: The Apuan Alps allow the climbers, either traditional or free-climbing, to make very interesting climbs. Moreover the Apuan Alps allow the hiker to cover itineraries in every season and of every level.